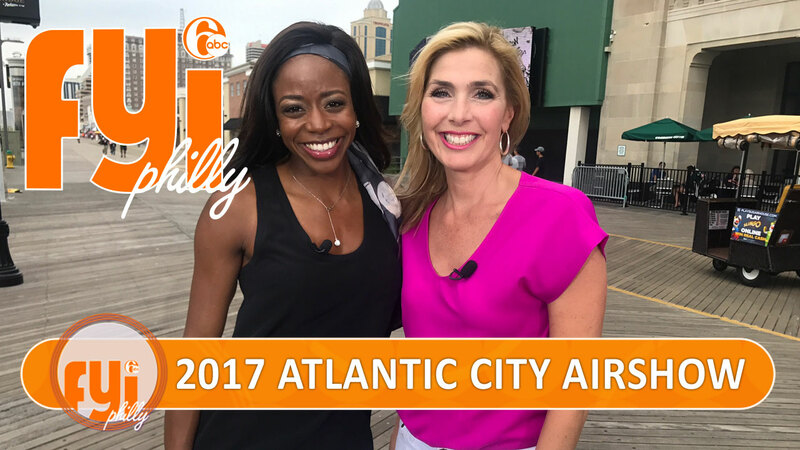 This weekend on FYI Philly, experience the thrill of "Thunder Over The Boardwalk" as the Atlantic City Airshow soars into its 15th anniversary! Check out our ULTIMATE list of things to do in A-C, James Beard award-winning eats, and a water workout guaranteed to shred! Plus, Karen Rogers gets glam with Miss New Jersey as she sets her sights on the Miss America crown! A look at what's on tap for this year's show. The 2017 Atlantic City Air Show takes to the skies over the beach and boardwalk Wednesday, August 23rd and, as always, it's free! Karen Rogers has an FYI for you on this year's lineup. Meet one of the most decorated aerobatic pilots in history. Among the fliers for the air show is Rob Holland, one of the most decorated aerobatic pilots in history. Catch him in action during his three performances this year at 11:35 and 11:57 a.m. and 2:30 p.m.
Atlantic City features several James Beard award-winning restaurants. The James Beard Awards are the most prestigious in the culinary industry and Atlantic City is home to a group of winners. Alicia Vitarelli takes us inside a couple of the spots that earned this significant honor. Ali Gorman goes to paddle board boot camp. You've heard of paddle boards and boot camps. But boot camp on a paddle board? That's taking the challenge to a whole new level. But Ali Gorman was definitely up for it. 21st Street and The Bay, Avalon, N.J. The class costs $35 and they are adding weekend classes throughout August and September. Let's meet the hometown girls vying to represent New Jersey in the Miss America Pageant. The Miss America pageant is fast-approaching. Karen Rogers takes us behind the scenes of the Miss New Jersey competition and meets winner Kaitlyn Schoeffel, the hometown girl vying for the crown. Preliminary Competition: Sept. 6-8, 7-9 p.m.
We check out three new spots from Iron Chef Jose Garces. Alicia Vitarelli gets a look inside Iron Chef Jose Garces' new Tropicana Trio; three new spots inside the Tropicana Casino that will take you on a culinary journey only Garces could arrange. While you're in Atlantic City here are a few thing to do. Heading down to the AC Air Show next week? Why not make a week of it? Melissa Magee rounded up six fun things to do while you're there. 800 N. New Hampshire Ave, Atlantic City, N.J. This week's Love The Arts takes a trip to the Penn Museum. We stop by a North Philly cat rescue.